If the Wi-Fi in your home is not fast enough for TV streaming to your smart TV, or you just need a little bit faster gaming for your console in another room then we might find your savior. The TP-Link AV1000 Powerline. A tiny device which works on a simple principle. Its technology uses power cables in your home to act like networking cables. What does it mean? Simply put, it takes less time to transfer date around your home. Not a technically type? Don´t worry, the set up is insanely easy. You just plug one adapter into the power socket which is close to your router (or modem) and connect them with Ethernet cable (in the box) and then plug the second adapter into the power socket near the device such like TV, laptop, PC or console. And of course, you also need to connect these devices to the second unit with another Ethernet cable. Press pair to secure the connection with 128-Bit AES encryption. Done. Now your data speeds should be close to what you can get if you connect the TV (or another device) directly into your router. Powerline kits turn your home’s electrical wiring into a wired network, moving data right through your walls and floors. Fast Powerline Speeds: The TL-PA7010 KIT delivers AV1000 powerline speeds for a fast connection anywhere in your home. Rock-Solid Wired Performance: Directly connect wired devices like smart TVs, gaming consoles and PCs to the gigabit Ethernet port for reliable performance at higher speeds. Plug. Pair. Play: Plug one unit in and connect it to your router, then plug the other unit in anywhere. 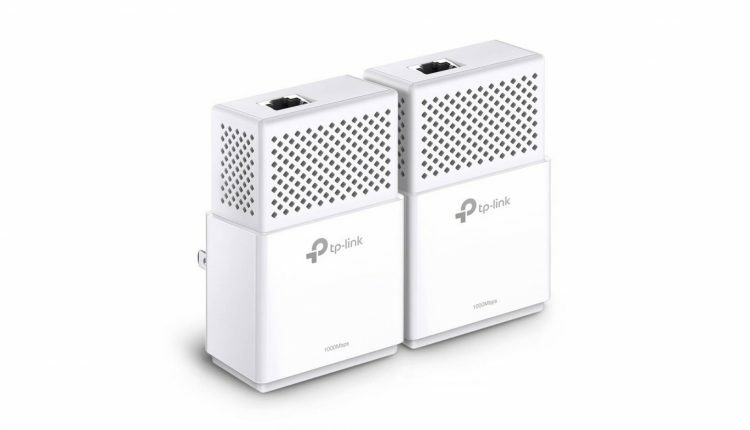 Universally Compatible: Connect the powerline kit to any router, access point or Ethernet switch to extend your network to any room. Power Savings: When not in use, the kit enters power-saving mode to reduce energy consumption.